As summer comes to an end in the southern hemisphere we turn our attention away from sun-soaked beach holidays and on to another of our favourite variety of vacay, the skiing holiday. It might still be fairly balmy here in the UK but the snow is already falling the mountains. 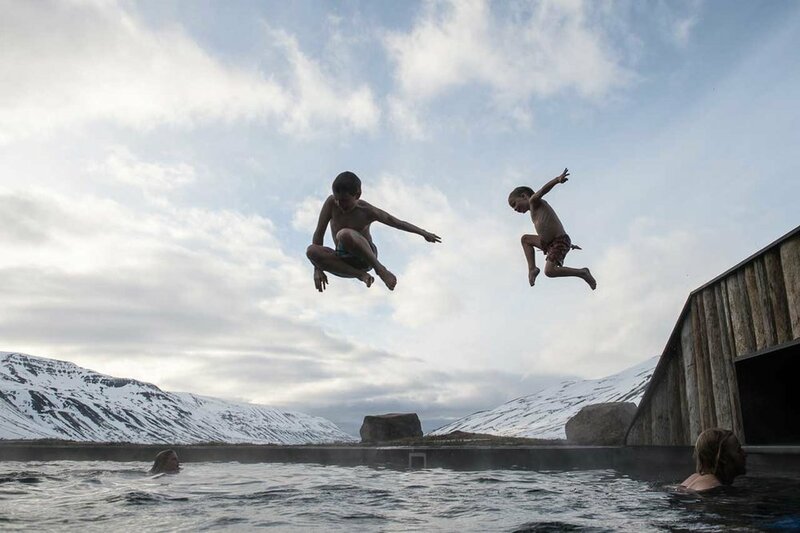 And after a hard day on the slopes there is nothing more enjoyable than a soak in a hotel pool, so grab your swimming trunks and hit one of these incredible watering holes. 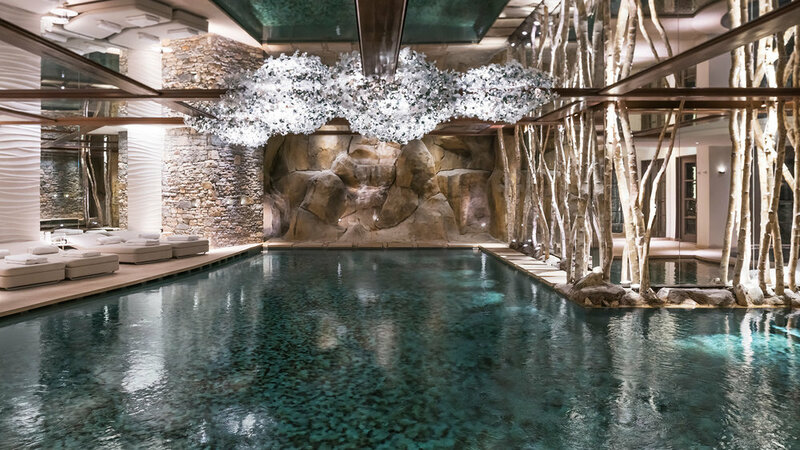 A small army of glass peaks poke out of the snow-capped mountains in Arosa to form the The Tschuggen Bergoase, the hotel’s incredible spa and pool, which has been built to both contrast and complement its surroundings. 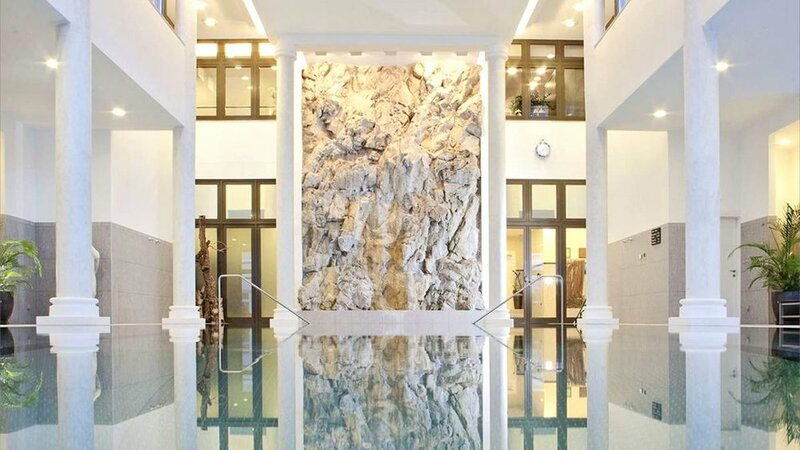 Along with a 30-page spa menu, The Tschuggen Bergoase is home to incredible indoor and outdoor swimming pools, which will make you feel like you are right inside the mountains. Kulm Hotel’s outdoor swimming pool could put even the most fervent of skiers off their pistes. Clouds of smoke billow off the seriously stylish lagoon, which - along the the sauna - measures over 2000m2. Relaxing doesn’t even cut it. The view, the warm water, the cold air, the mountains… This is the place to switch off and breathe. Anything with the LVMH label attached to it is worth purchasing and the fashion group’s hotels are no exception. 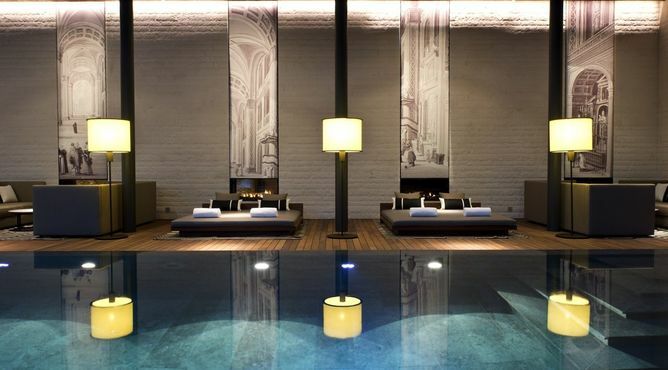 The swimming pool and spa at Cheval Blanc are top of the line for even Courchevel’s standards. A mirrored ceiling infinity-edge pool comes complete with waterfalls, ethereal woodland decor and water temperatures of every variety - from a freezing plunge pool to a soporific jacuzzi. A converted sheep farm on Troll Peninsula… Words that don’t scream glamour and luxury but Deplar Farm has been touted as one of the most exciting locations for winter adventure sports. Its indoor-outdoor salt-water pool is kept warm by geo thermal heating that allows you to soak in the mind-blowing landscape until the stars come out. Ok so, the blurb on Backstage Hotel’s website made us chuckle; “Feel as weightless as a newly conceived fish and immerse yourself in the sounds of the birds in the sky.” Despite the corny chat up line, this spa is just very cool. Among hot and cold steam rooms and saunas, filled with trippy art installations, are various pools. Step into its 38 degrees pool, heated with glass pearls or the floating pool, which may just make you feel like a newly conceived fish as you lie weightless listening to the sound of animals. There’s a touch of the Grand Hotel Budapest about Grand Hotel des Bains’ facade but inside its a different story. The very modern hotel is far from the bygone era that Wes Anderson realised in his film. Its striking pool may, however, conjure images of Roman days, with its colossal column. Unusually for Swiss alpine hotels, The Chedi (thanks to a Kuala Lumpur-based designer) combines chalet-style interiors with Asian looks. The 35-metre mountain-facing swimming pool is no different. Turbo sleek, all polished wood and stone, the swimming pool is totally seductive, offering up double futon-style beds around its edge, lit with floor lamps and showing off breathtaking views of the mountains.